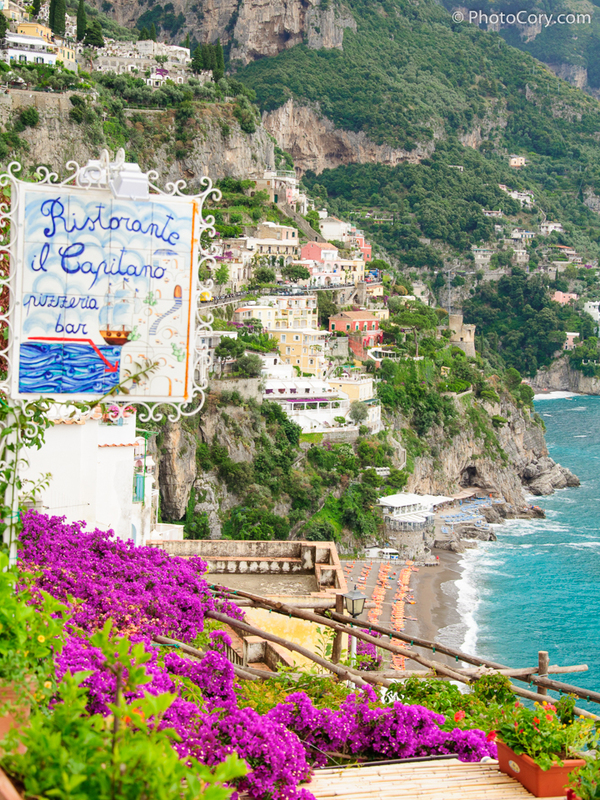 Positano is a small, picturesque town on the Amalfi Coast in Italy. 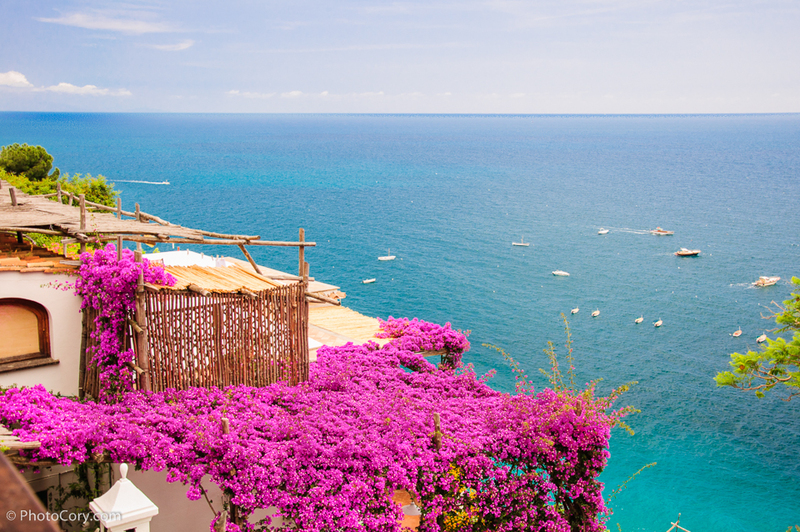 There are colored houses built on the rocky mountain and splendid views of the blue Tyrrhenian Sea. 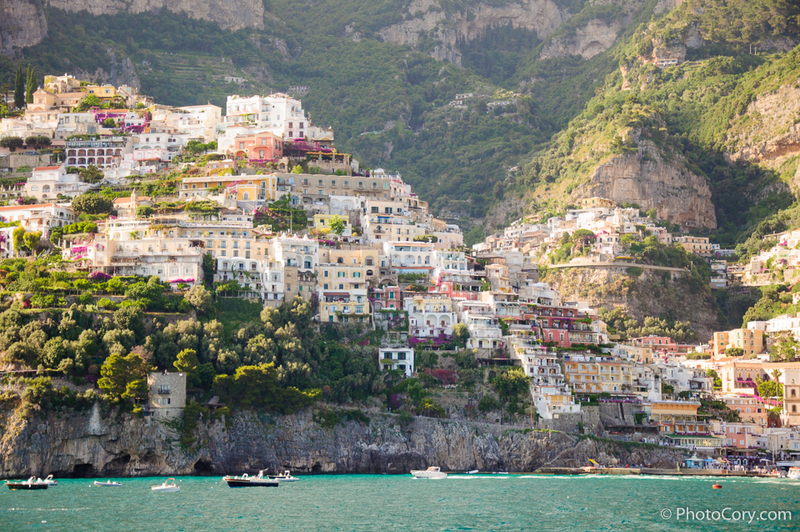 There are also hundreds of stairs leading everywhere and also a twisted narrow road to walk on to get to the top for the best postcard-like views! 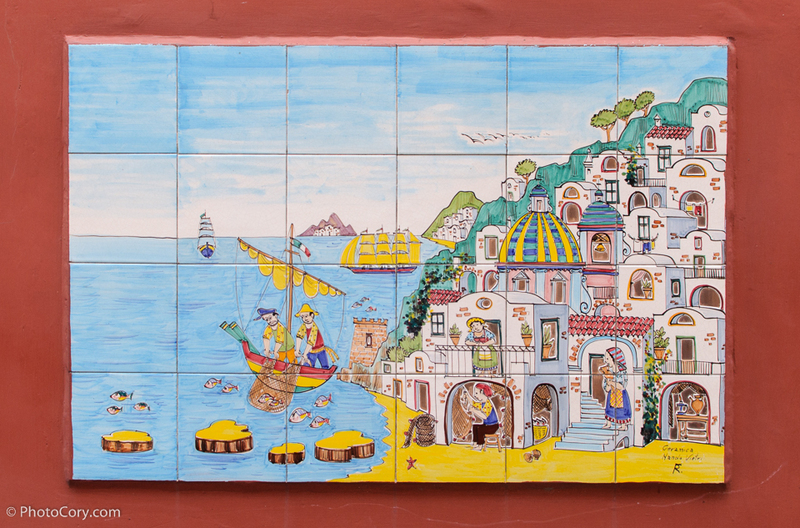 Every step you take in Positano, there is something to be photographed! 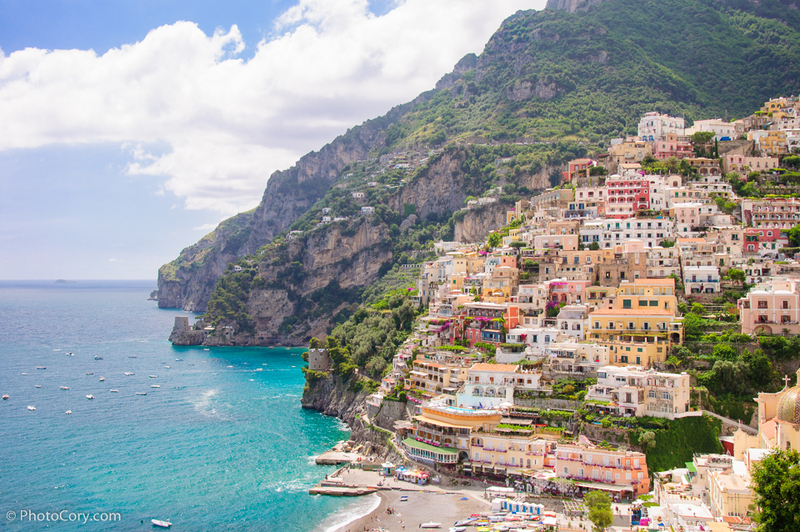 It might remind you of Cinqueterre in Italy, with the layers of colored houses built at the edge of the sea. 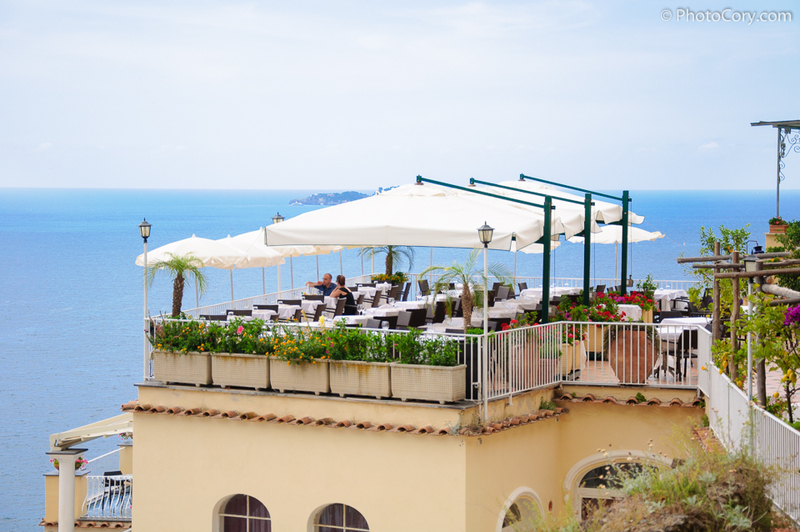 A restaurant with a magnificent view! 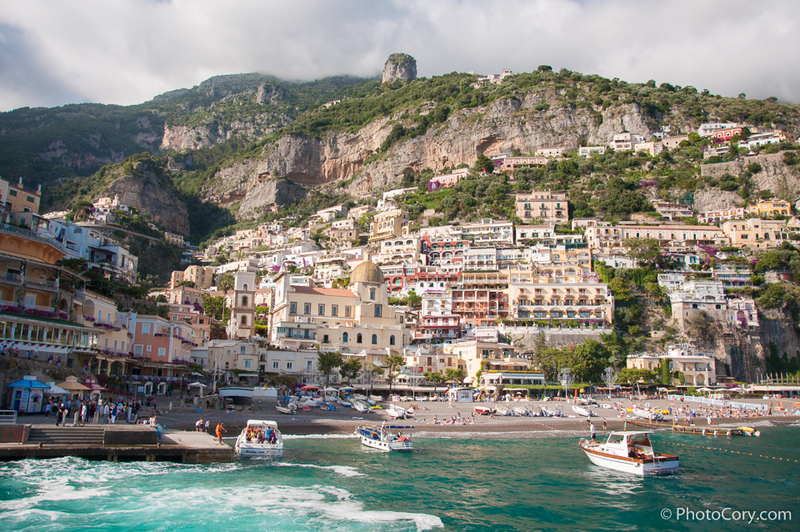 You can take day trips to Positano by boat. 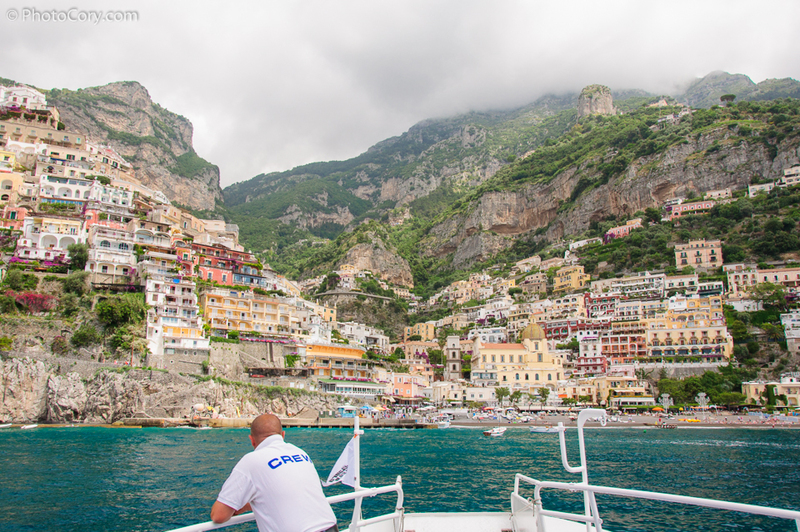 We took the boat from Sorrento, where we had the hotel, but there are boats from Napoli, Capri, or other cities in the Amalfi Coast area. It looks so picturesque. Is one day enough? I think one day is enough. I spent about 6 hours there and it was enough for walking, taking photos, resting, eating in a nice restaurant and enjoying some time on the beach. It’s truly breathtaking. My dad is planning on going to Netherlands this weekend, and he was wondering about places close by. I just meant some country close enough to also visit within an extra two days 😀 My bad..
Wow Cory these are amazing photos! Makes me wanna go there. Beautiful photos! 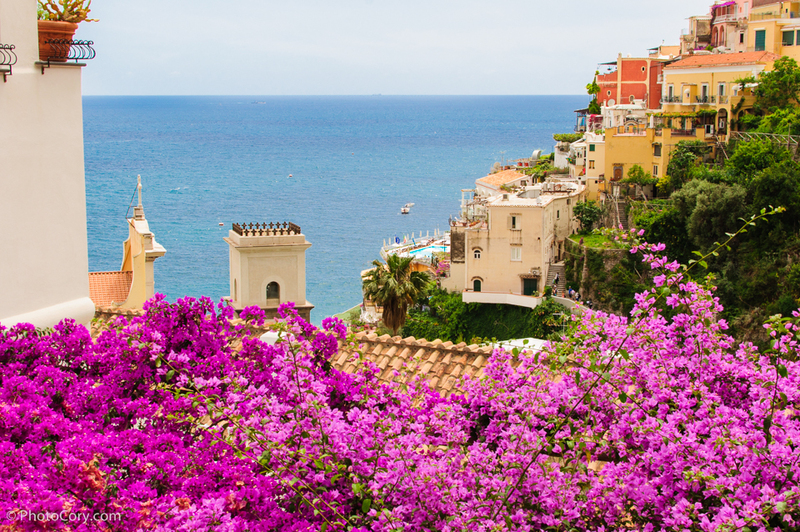 I love the color of the flowers. Great job! 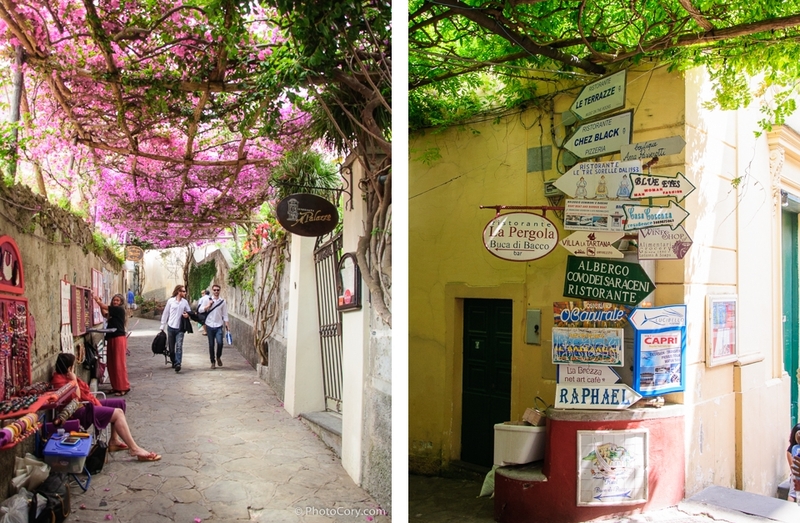 These are beautiful photos of what appears to be an idyllic location! 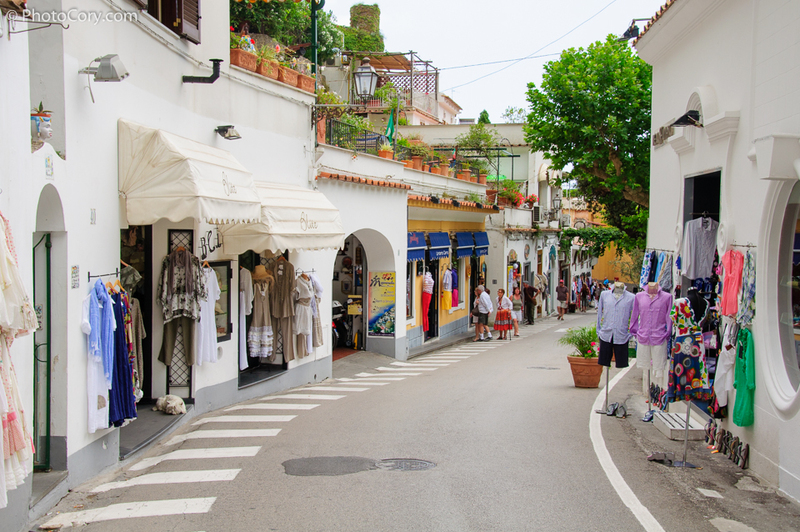 Brought back fond memories of Italy! 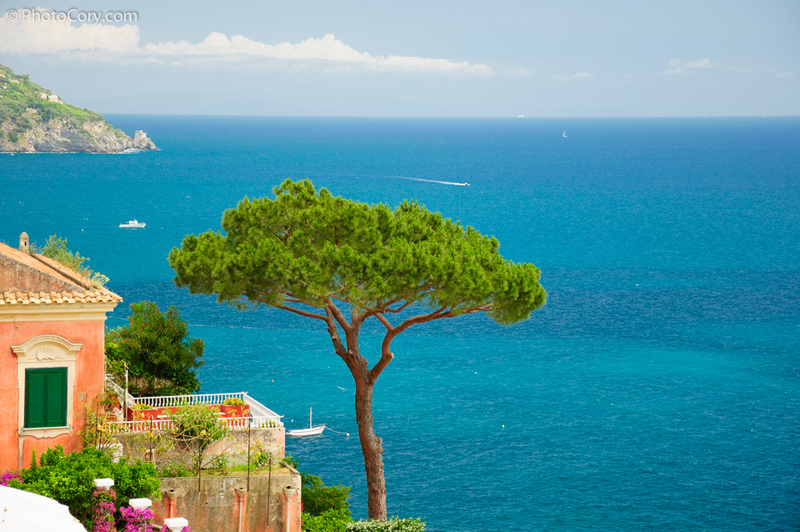 Spent most of my time at university in firenze… you should check out Tuscany when you get the chance! 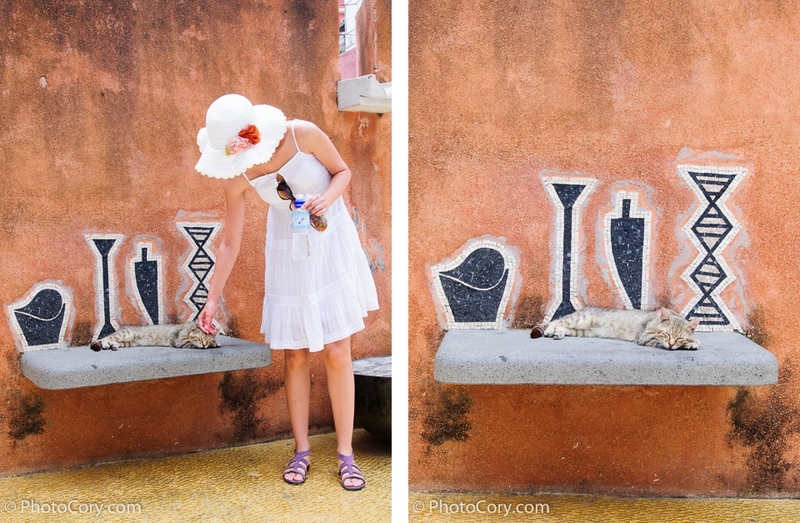 Do you modify your photos in any way, some look almost like paintings…?